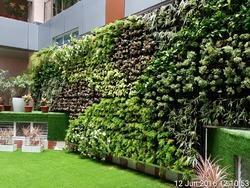 Pioneers in the industry, we offer Green Wall Services such as Living Green Wall Services and Green Wall Service from India. 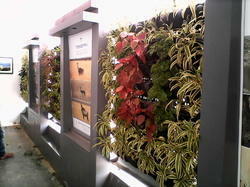 Greenwall modules are a purpose designed green wall system. This product does not require waterproofing the surface of walls it is mounted on to. It is a fully enclosed and independent vertical growing system needing only water and occasional maintenance. 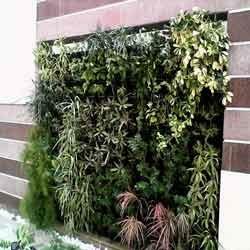 We are engaged in offering Green Wall Services to our clients. We make use of the best modern techniques to render these services to our clients. Our clients can customized as per his specifications and requirements. These are widely appreciated by our clients for enhancing the indoor and outdoor culture of environment. Also before rendering the services to our clients, we make sure to plan the execution and make the work smooth.